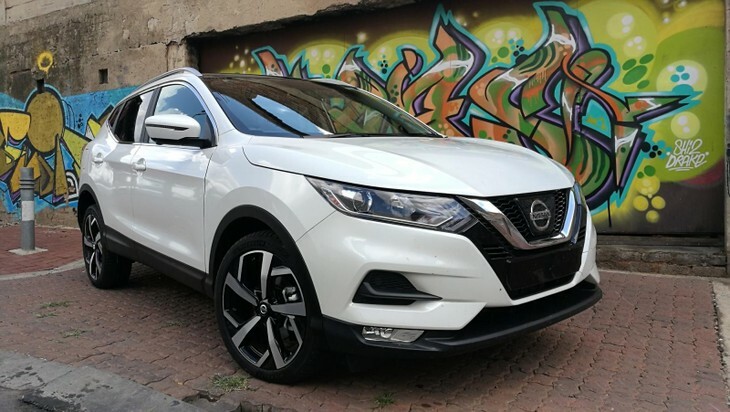 Nissan has introduced the facelifted Qashqai crossover in South Africa and we had the opportunity to drive the updated range in Johannesburg this week. Take a look at what the latest Qashqai has to offer. 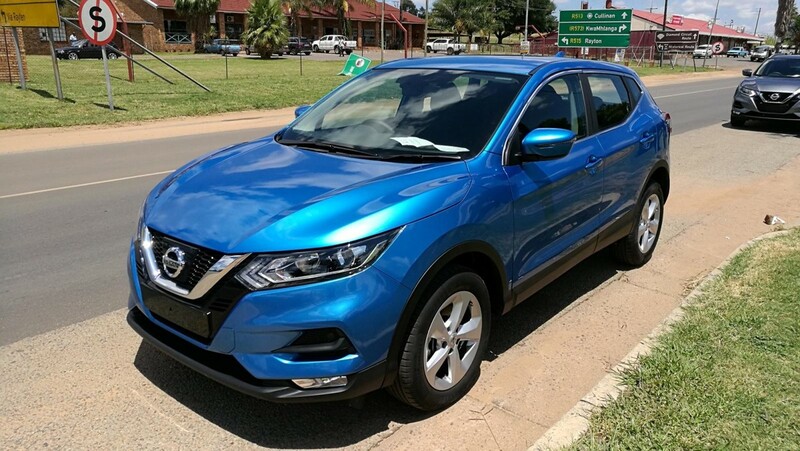 The Qashqai is a serious money spinner for Nissan and perhaps it should be called the "CashCow" because it has been such a huge success in South Africa and across the world. 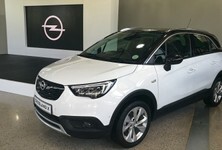 Since its introduction in back in 2007, more than 30 000 Qashqais have found homes in South Africa while over 3.3 million units have been sold globally. The Qashqai’s success is entrenched in key strengths that make it attractive to buyers and these include practicality, efficiency, performance and value-for-money. 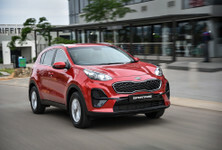 These qualities have ensured the Qashqai’s success in a booming crossover segment where rivals such as the Hyundai Creta, Ford EcoSport, Toyota RAV4, Honda HR-V, Opel Mokka and Renault Kadjar, to name a few, are all vying for segment share. In a bid to keep the Qashqai fresh and in the game, Nissan has launched an updated version that features new, attractive exterior design details and a revised interior. More than this, a smattering of new safety technologies is now also offered. Let’s take a closer look at what this latest Qashqai has to offer. 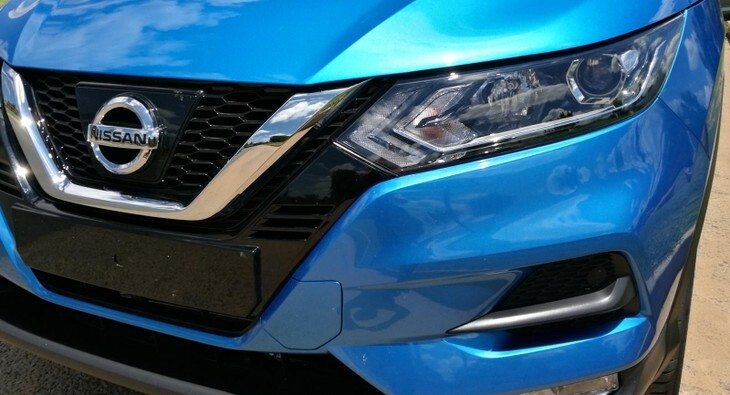 New headlights and a re-worked grille give the latest Qashqai a more assertive presence on the road. 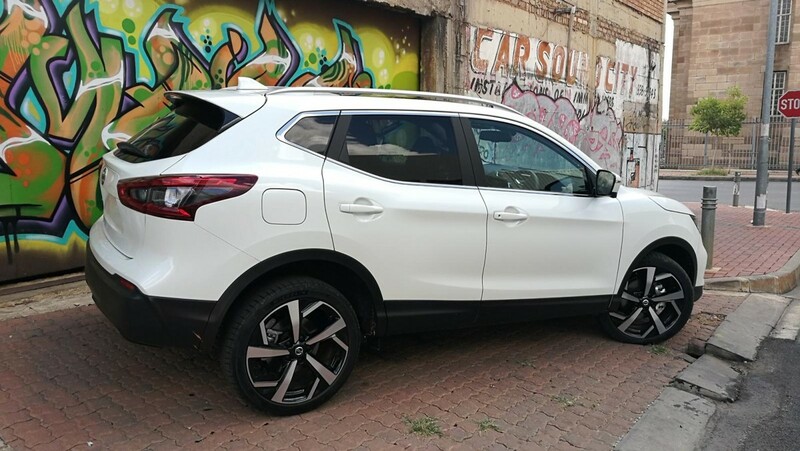 From the outside, the Qashqai’s visual appeal has improved with a dashing front-end that incorporates newly designed headlights with attractive boomerang daytime running lights and a revised clamshell bonnet that beefs up its road presence significantly. 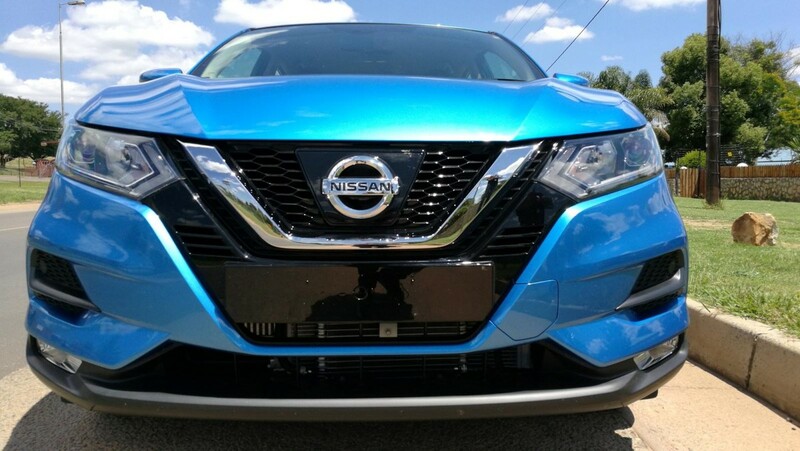 Nissan’s "V-Motion" grille has been re-interpreted for this facelift and both the front and rear bumpers have been reworked. The taillight design is also new and now features a 3D effect and the look is rounded off with new 17- and 19-inch wheel designs. We like the look of this facelifted Qashqai. Would you agree? 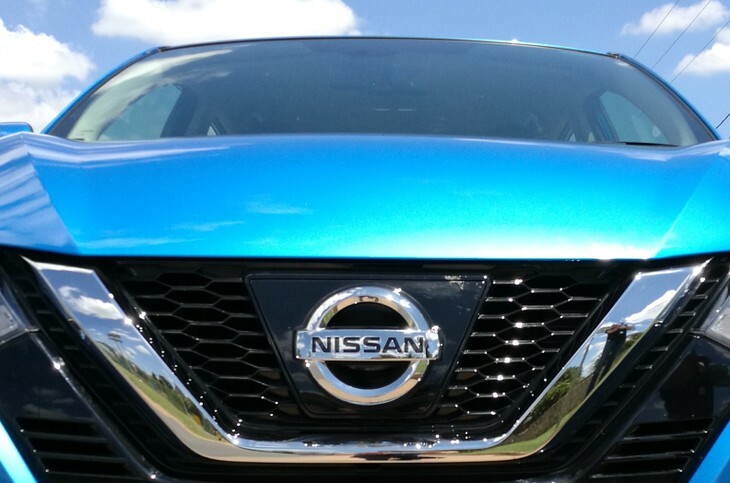 You can read more about the changes to the facelifted Nissan Qashqai here! A new flat-bottom steering wheel with 4-way controls is one of the highlights in the facelifted Qashqai. The new D-shaped steering wheel feels pleasingly tactile and it now comes equipped with 4-way remote toggles that make it easy to adjust the audio system, cruise control and Bluetooth settings. The seats are new too and offer added support, which we found to be pleasingly comfortable on the launch drive. 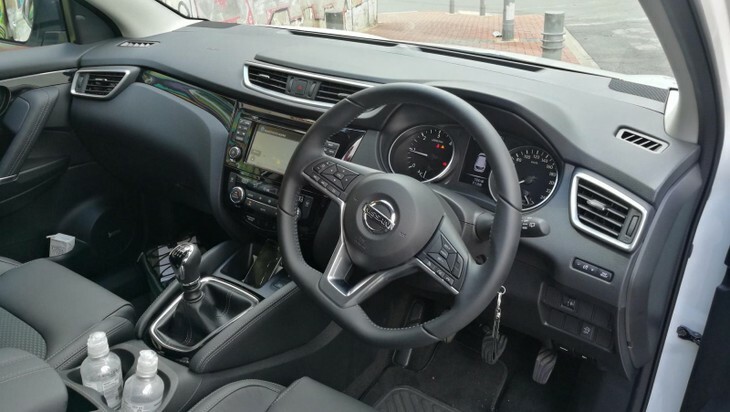 Nissan has also improved the interior material quality with better finishes on the door panels, air-vent surrounds and gear lever. 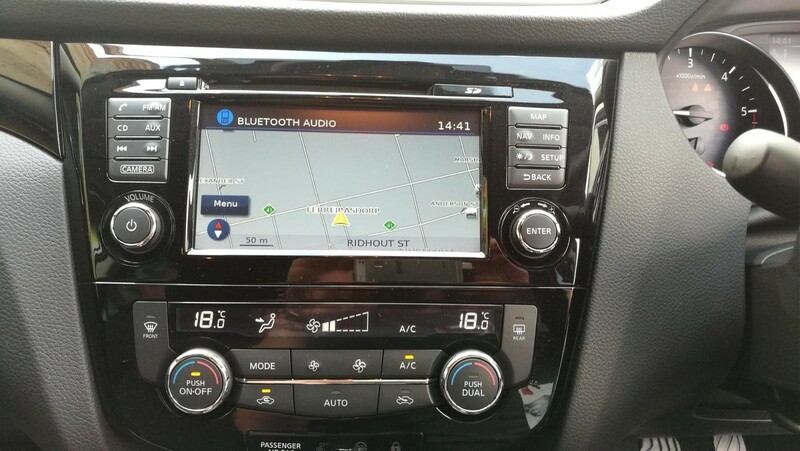 The touchscreen infotainment system found in the top-spec Tekna derivative now has a new and improved layout along with integrated navigation and is accompanied by a potent 7-speaker BOSE sound system to keep you entertained. Entry- and mid-level derivatives are equipped with a more rudimentary Bluetooth-capable system, which is very easy to use. An updated touchscreen offers integrated navigation on the top-spec Tekna derivative. The big news for this facelift is the introduction of a host of useful safety features under the banner name Nissan Intelligent Mobility (NIM). The features were recently introduced to the new X-Trail and Patrol and have now been extended to the Qashqai. They include Blind Spot Warning, Emergency Braking, Forward Collision Warning, Around View Monitor, Cross Traffic Alert and Moving Object Detection. These features not only improve safety, but they also make city driving more manageable. However, these features are only offered on the top-spec Tekna derivative. There's ample space in the loading bay and the 60:40 split rear seats allow for further space expansion if required. 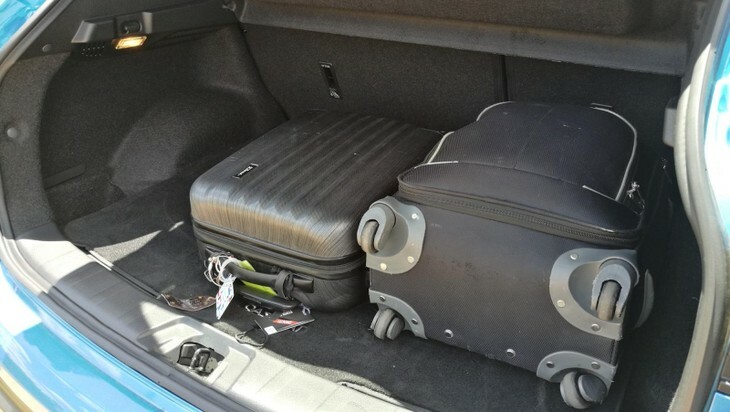 In terms of practicality, the Qashqai has a sizeable loading capacity of 480 litres that expands to 680 litres with the 60:40 split rear seat folded down. Space for rear passengers is good with a reasonable amount of leg-, head- and shoulder room. 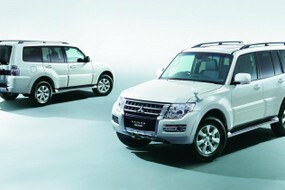 There is also ample storage space dotted around the cabin, including 2 cup holders for the driver and front passenger. 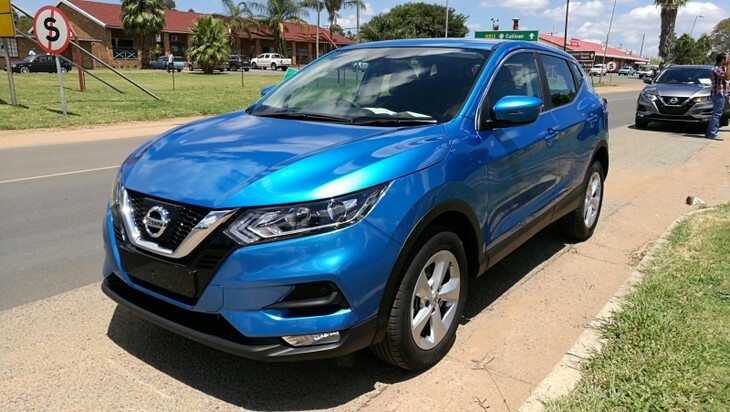 Our launch drive started at OR International Airport behind the wheel of a striking Vivid Blue Qashqai 1.2T Acenta CVT. 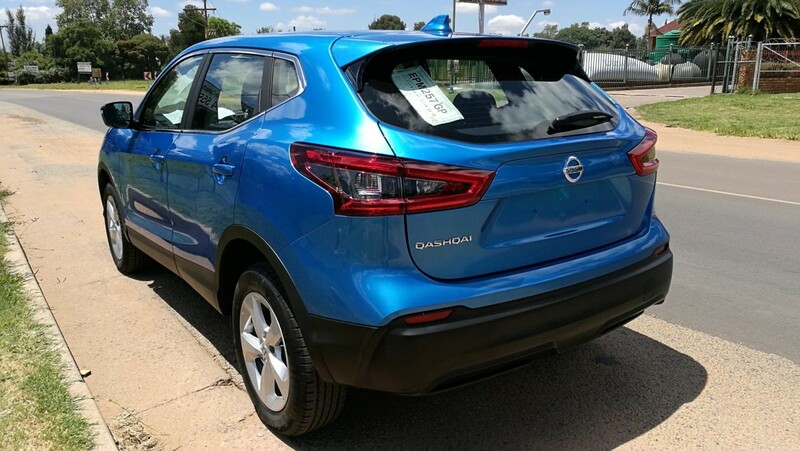 This is perhaps the most intriguing colour for the Qashqai and it's no surprise that it features prominently in all the marketing material for the Nissan. 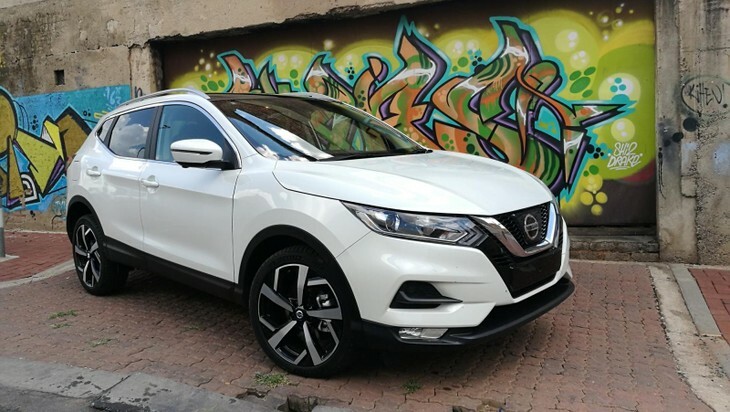 The Qashqai is well-known for delivering a comfortable ride and Nissan has improved matters further by re-tuning the dampers and stiffening the anti-roll bars in an effort to improve both damping and handling, which appears to have made a noticeable difference. 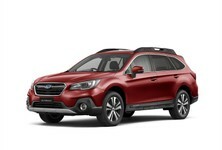 Through the application of additional sound insulation road and wind noises have been reduced, resulting in a quieter cabin overall, while engine noise seems markedly improved as well. 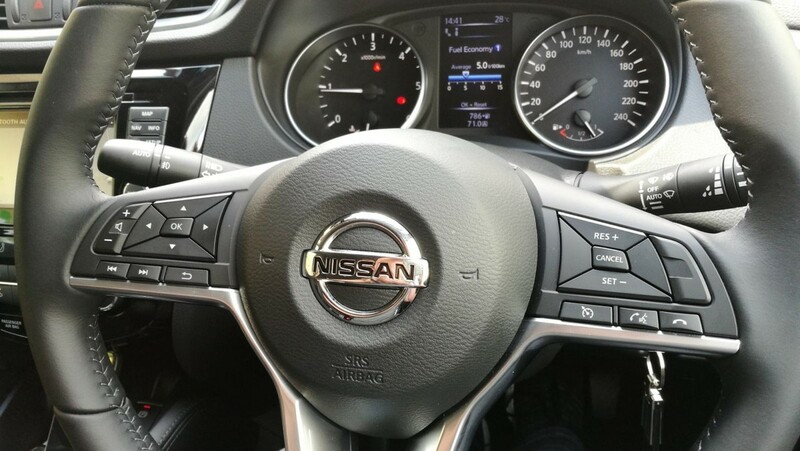 The Qashqai offers a very comfortable drive indeed. The steering is nicely weighted and provides good feedback and responses to driver inputs. In terms of performance, this turbocharged 1.2-litre petrol with peak outputs of 85 kW and 190 Nm of torque offers adequate pulling power. Coupled with the CVT, the motor can feel a bit sluggish on uphills, but it's not terrible. Overtaking manoeuvres will require some planning as the CVT takes its time to build the necessary momentum. Many buyers might be sceptical about driving a CVT, but this CVT is not the worst we have encountered and when driven with a measured approach it actually performs well, just don't expect rapid acceleration. If you are not a fan of a CVT, then the 6-speed manual transmission is your best bet. 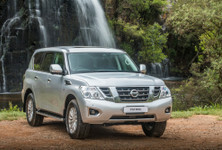 In terms of fuel consumption, Nissan claims a figure 6.2 L/100km and during our launch drive, the trip computer returned an acceptable 7.5 L/100km with very little effort. The range-topping Tekna derivative is well-equipped with features and is the one to have, if your budget will allow. Priced at R434 000. 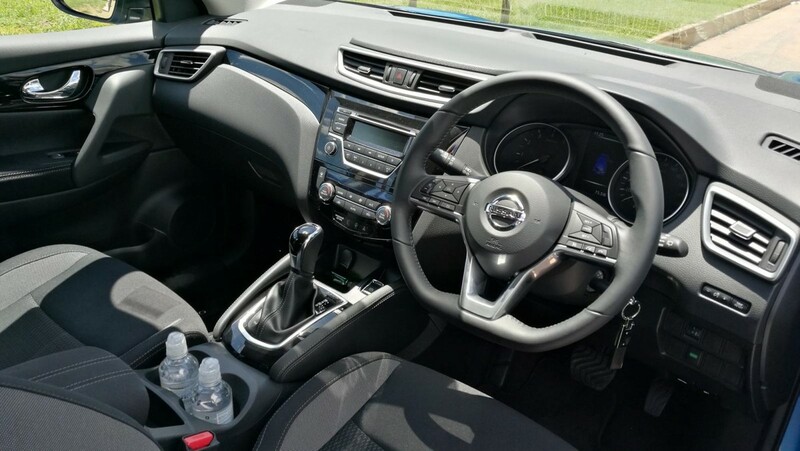 We also had the chance to drive the top-of-the-range Qashqai 1.5 DCi Tekna featuring leather upholstery, electric heated seats and a glass roof. This derivative is only offered with a 6-speed manual transmission with outputs of 81 kW and 260 Nm. It's a well-refined engine and with more torque than its petrol-powered sibling, it feels a bit thriftier too. The manual transmission is relatively smooth-shifting but the gear throws are quite long. The manual does, however, afford you the opportunity to get the most performance from the engine on those uphill sections or when you need to overtake swiftly. Tractability in the higher gears could be better, however. Apart from this engine's impressive refinement, it's efficient too. 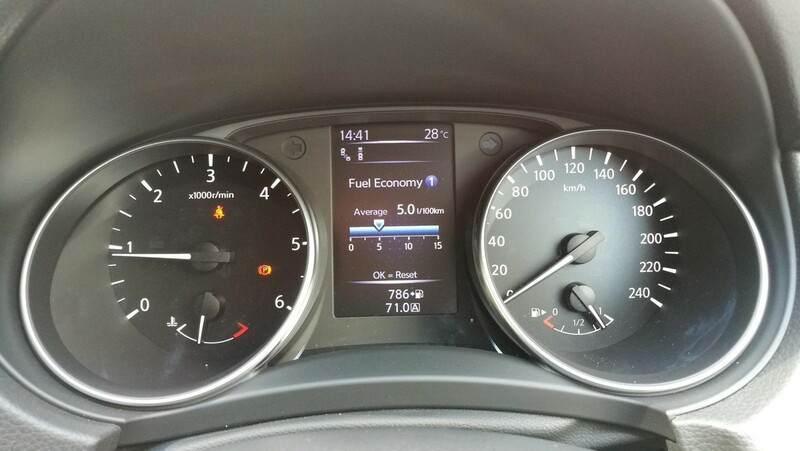 Nissan claims a fuel consumption figure of 4.2 L/100km and we achieved a figure as low as 4.9 L/100km on our drive, which is commendable. 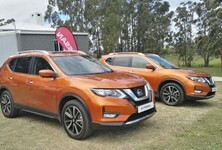 The facelifted Qashqai should remain a top-seller for Nissan despite a crowded crossover segment. The Qashqai's stylistic and interior improvements are bound to resonate well with buyers looking for a stylish and well-equipped crossover. 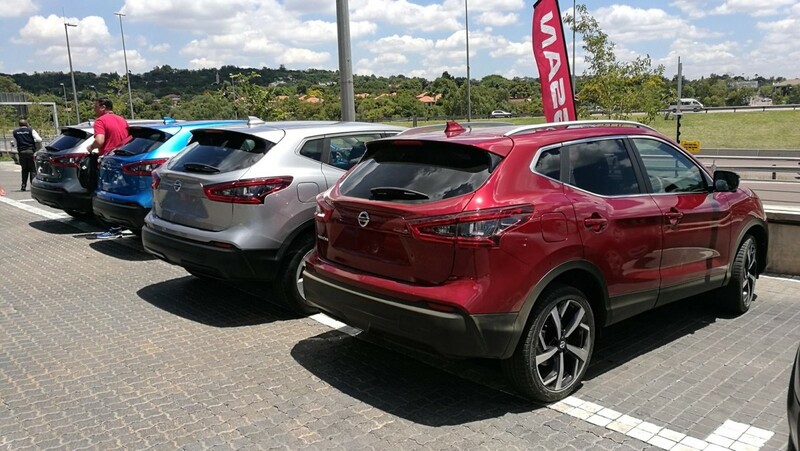 The Qashqai's keen pricing, particularly in the entry-level and mid-grade offerings, will further ensure that the Qashqai's popularity remains intact. Overall, we like this latest Qashqai and if we had to choose our pick of the range based on our findings at the launch, we would go for Qashqai 1.5 DCi Acenta Plus manual, or if your budget can stretch that far, the 1.5 DCi Tekna will surely provide many happy kilometres with most of the bells and whistles you could ever want. Further peace of mind comes in the form of Nissan's 6-year/150 000 km warranty which is not to be scoffed at. 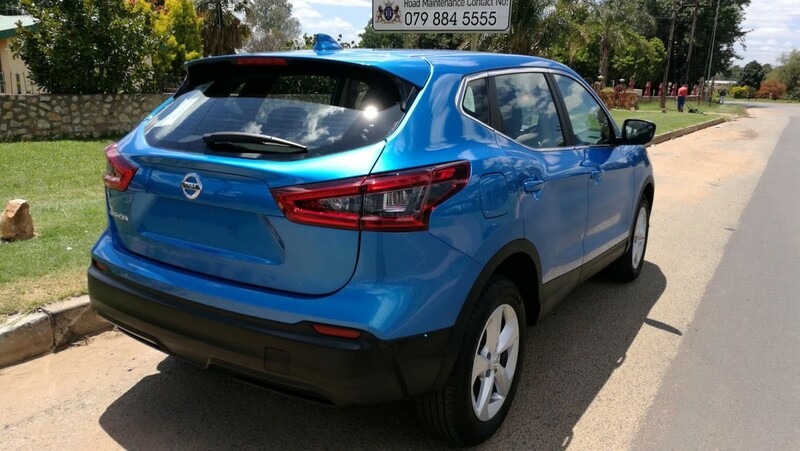 We think the Qashqai is worthy of consideration and it should be near the top of your shopping list for small crossovers. 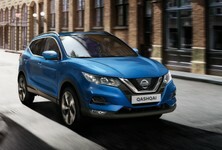 We will have the facelifted Nissan Qashqai on test soon so look out for a thorough evaluation in the near future.